Below headlines were reported in The Heat, Issue 033 in June 2014. Screenshots of the articles are here for your reading pleasure. 1. 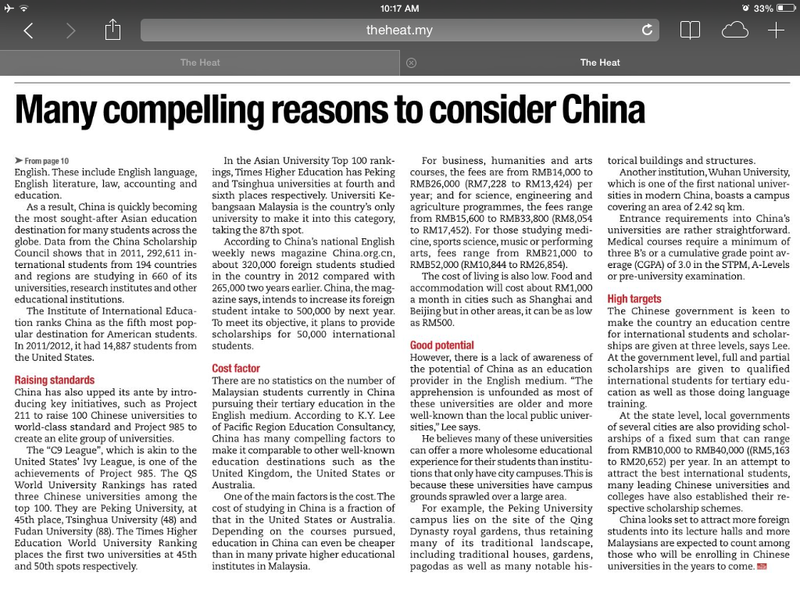 China's varsities attracting Malaysian students. 2. 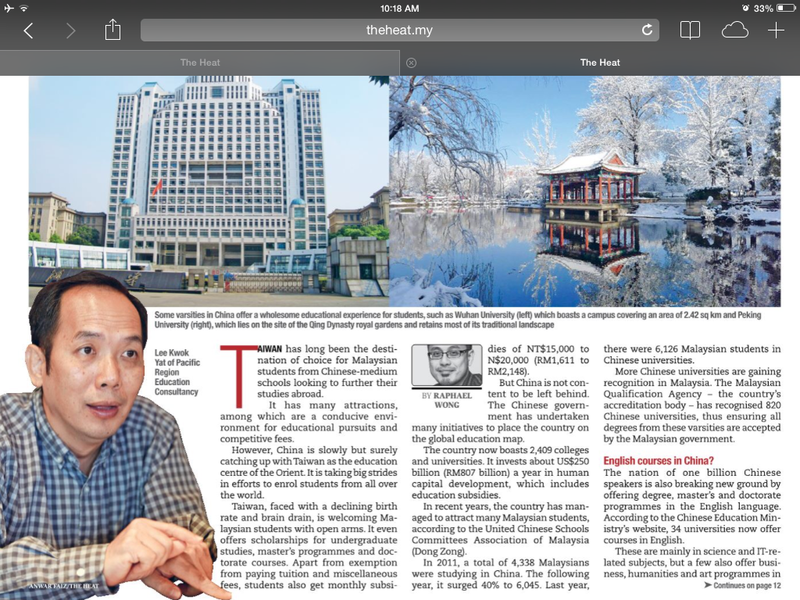 China the new education hub for Malaysians. 3. Many compelling reasons to consider China. 4. One parent's quest for quality and affordable education.